(Evansville, IN) January 6, 2016 -- Today SIGMA Equipment, in Evansville, IN, announced the completion of the final phase of its expansion project that began in March 2015. 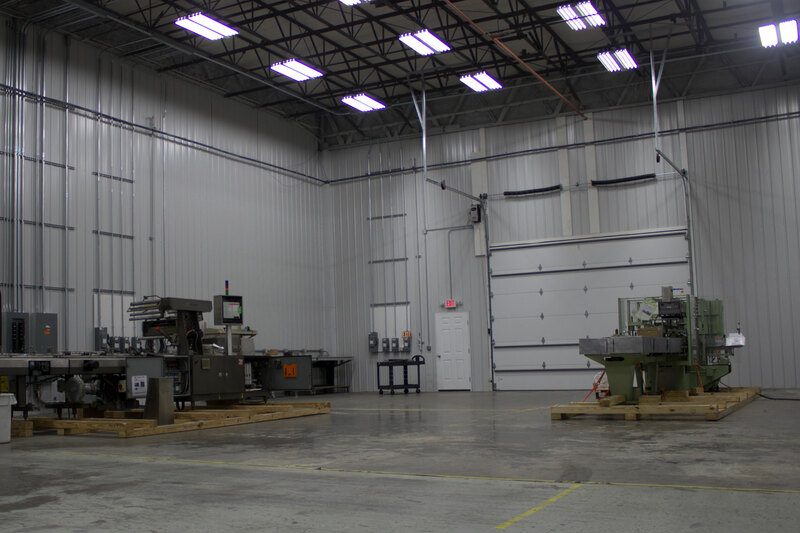 The project is completed with the opening of SIGMA’s new 10,000 square foot on-site reconditioning and retooling shop and collaborative workspace. The shop is designed to be easily expanded as SIGMA continues to grow. The shop has six power stations, each capable of handling various electrical power requirements. Each station is also equipped with a high volume air line capable of running several vacuum generators. A new lathe and mill will allow shop technicians to perform more repairs in-house. Photo areas and professional lighting provide a backdrop for recording high-quality videos for customers. SIGMA Equipment offers various repair and modification services through its machine shop, including set-to-size, repairs and reconditioning, line integration, and tests for functionality and accuracy. The original 5,000 square foot shop has been converted into a workspace for SIGMA Surplus, a division of SIGMA Equipment that sells spare machinery parts. The first phase of the expansion project, a hub of 19 offices, was completed in October 2015. The total investment for the completed expansion is $750,000.